The 70-year-old businessman, originally from Surrey, is well-known in the East Anglian business community and nationally for his tireless work promoting apprenticeships and work alongside the Department for Work and Pensions (DWP) to provide work experience and job opportunities. Bridgman was East of England chairman at SEMTA, the sector skills council for manufacturing, for many years until 2010. He is an active member of the New Anglia LEP Skills Board, the Norfolk County Council Skills Group, EEF Regional Board, he is a government Apprentice Ambassador, STEM Ambassador and enterprise advisor to the local academy. Bridgman has earned a reputation “for giving 100%” and for his no-nonsense, straight talking style to get results. Throughout an engineering career spanning five decades, Bury St. Edmunds resident Bridgman has sought to help young people reach their potential. After completing a tool-making apprenticeship in Kingston, Surrey, he worked for a local engineering company for 22-years then moved to Brandon, Suffolk in 1976. In 1990, with his wife he founded Warren Services in the Old Flint School in Feltwell, Norfolk, which relocated to the Fisons Estate in Thetford in 2005, where Bridgman redeveloped a 30,000 sq ft factory. In 2014, the business expanded to an additional 50,000 sq ft. site nearby. The company has trained many apprentices over 28-years, many of whom still work there. Ten years ago, Bridgman tried to establish his own in-house training school at Warren Services due to the inadequacy of local training providers, but the plan was derailed by government cutbacks and bureaucracy. He started working for West Suffolk College to improve their relationships with local businesses and continues to advise them. Rating it very highly, he has worked with West Suffolk College on a range of training issues and standards both locally and nationally. He is now supporting the college’s bid to be a new Institute of Technology, a Department for Education programme to create 10 institutes nationwide, which he believes is essential to the region. In 2014, Bridgman was voted by peers as one of the “Top 100 Manufacturers and Inspirational Individuals for Manufacturing” by The Manufacturer magazine. In 2015 the University of Suffolk awarded him an Honorary Fellowship. In 2012 he was invited to attend No.10 Downing Street to advise on Health and Safety at Work legislation and while at SEMTA he co-chaired a large House Lords event to give SMEs a better voice on health and safety. 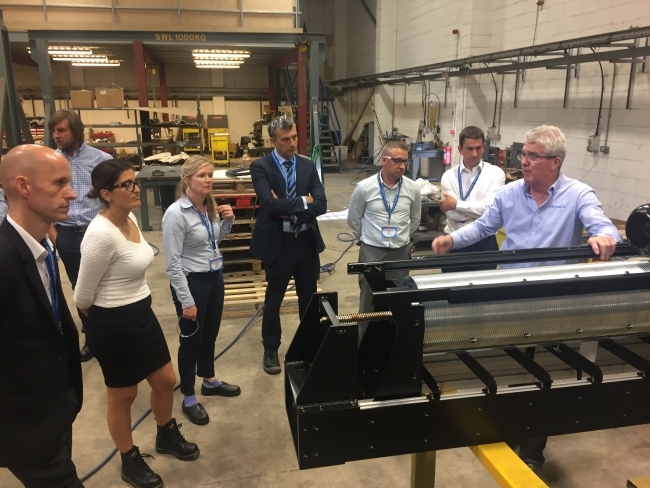 Critical of the controversial Apprenticeship Levy, Bridgman has consulted with manufacturers’ organisation EEF and the government on the levy’s shortcomings for industrial employers. But he still feels apprenticeships is the correct approach and is proud of the fact that he can now offer all of his apprentices the opportunity to get a degree without incurring debt. 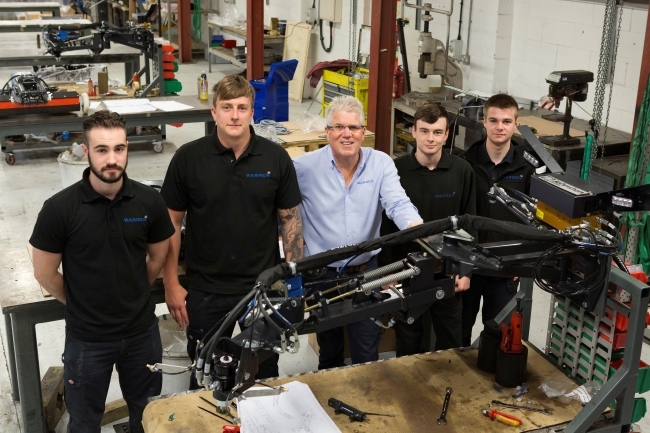 In 2017, his son William became chairman of the family business when Bridgman senior stepped aside to focus on his work promoting skills training nationally. His daughter Estee is the company’s HR manager.